Inklusive Klebefolienpunkt. 1x ddt E-Drum Triggerkegel schwarz. 1x Triggerkegel schwarz. 1x ddt E-Drum Triggercone black. Our ddt drum cone for the following modules: Roland TD-8, TD-10, TD-12, TD-20, TD-20X. Yamaha LC-810A Hi Hat Clutch. Barely used, in excellent condition. 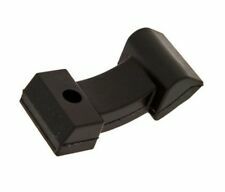 Treadstone DT1 Piezo Drum Trigger. Buy 4 Get One Free. Treadstone piezo disc drum trigger wired and clamped into a Pro Power 1/4" jack socket. 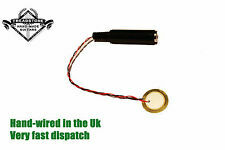 The best sounding and most rugged piezo disc harness of this specification on the market regardless of price. Buy 4, get one free! Ludwig Vintage Floor Tom Brackets fit 3/8" tom legs. Condition is Used. Includes gaskets, screws and backing plates. Very good condition. Starter Set für Schlagzeug, mit Drumsticktasche, Drumsticks 5A, 5B, 7A etc. 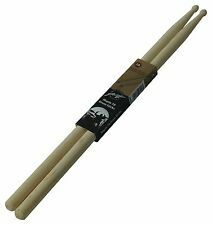 (1) 1 x pair Vic Firth 2B nylon. 2) 1 x pair Vic Firth 2B nylon. 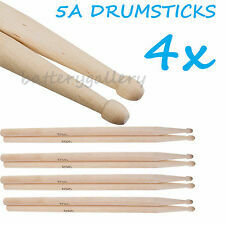 3) 1 x pair Vic Firth 5B nylon. 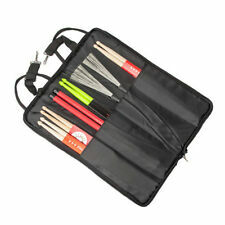 Drum Stick Case - Guvnor - Large - Very Cool. PLUS 6 PAIRS STICKS - USED. Front pouch (velcro) for your bits and bobs. Discontinued Gretsch product. Thick sturdy vinyl Gretsch drum pouch. Made from the material used to make drum bags. These were available through Gretsch about 15 years ago. Zipper closure is sturdy. Lot Of 3 Antique Vintage Drum Hex Wrenches tuning tool key ludwig ? Different materials, 2 short and one longer. Signs of age and use. It is of nice quality and condition. This is a set of 20 New Ludwig Lug Mounting Screws and Cup Washers. (Photo only shows 16 but sale is for 20). These are needed for attaching lugs to steel shells. Great for drum restoration or drum building. Snare Strainer Throw Off, Complete. Remo 16" Timpani head. New Old Stock! May have a little shelf wear. Grim skull toppers are hand made, molded with a high impact plastic then hand painted for a realistic bone look. Remove your drums normal cymbal nut, make sure a felt spacer is in place and screw on the grim skull topper till cymbal is held firmly. Hard to find set of 10 SonorTunesafe tension rod locks for snare and tom drums that use standard square head tension rods. 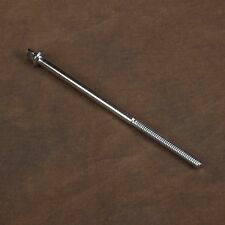 For use with standard tension rods - not the fatter 1/4" slotted tension rods. Hand made Rolling Bomber Wood snare and tom drum lugs. New lower price!! Sold as each. Rolling Bomber wood snare / tom drum lugs. Hand made walnut replicas. 1 1/8 h x 7/8 w x 2 3/8 long. Mounting screws are 7/8 apart. Square nut tension rod receiving nut is 12/24 thread. Coppia di spazzole per batteria. lunghezza spazzole: 15 cm. in NYLON BLU. Ai sensi dell'art. 64 e seguenti del D. Lgs. La comunicazione dovrà essere indirizzata a Con comodi manici in gomma nera. per info e foto. It still looks really good and works great. 10.5 mm Big Dog L-Arm. I will be happy to assist any way I can! Rapid Lock Quick Release HiHat Clutch. All PureSound Snare Wires are designed and manufactured in the USA. Designed for 13" snare drums, the Twisted Series snare wires feature 40 strands of premium-grade steel-alloy wire coiled together in pairs for a total of 20 strands for the heightened sensitivity, even at lesser tensions. 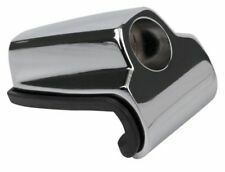 Die Cast Padded Bass Drum Claw Hook. 2 1/4" tall. Neues AngebotEnduro DR489BK 8x10 Humes & Berg Drum Case New! Free Shipping! Available for local pickup in the Southern Indiana/Louisville, KY area. REMO 6" SMOOTH WHITE WITH CLEAR DOT BATTER SIDE DRUM HEAD CS0206-20. Promark LA SPECIAL 2B Wood Drum Sticks FACTORY SECONDS! FIVE PACK! Promark B Grade Drum Sticks. Hickory 2B Wood Tip. Rockem Music accepts no responsibility for claims made after 48 hours. A cymbal will not be replaced if it has been: misplayed,used with improper sticks, dropped, played with excessive force or treated abusively; bought second hand or used in a lease program. It removes overtones and flattens the drum head's sound and allows for easier tuning. Our goal is to process all orders within 24 hours of receipt. Hand Percussion. is Only Valid for Standard Ground Service to the lower 48 US states. Pearl Floor Tom/Bass Drum Long Lug - Chrome - Good Condition!!! Vintage Tama Bass Drum Lugs, Japan era, Set of 4 with screws..